ISBT was founded in 1998 with the intention of presenting quality professional courses that were geared towards providing students with the best possible avenue of learning and developing effective skills. Foundation and Advanced Courses are presented by ISBT. Including full body assessment strategies as part of the courses. Recognising that a student’s ability to absorb the detailed information while developing manual skills deteriorates over lengthy periods, ISBT teaches in modules of no more than two days. Dedication to preparing courses for ease of learning, and developing high skill levels, has resulted in better quality training. Many unique advanced features have been built-in to the Foundation Course. ISBT was established by internationally experienced directors and instructors Lisa Black and Col Murray from Melbourne, Australia. As of 2010, they have a combined total of 42 years in bodywork, over 34 of these with Bowen Therapy. Their introduction to Bowen-style work came in 1990 when a therapist demonstrated the technique in a private session which inspired them to experiment with what they were shown. This led them to undertake training with one of the small group of people who had observed Tom Bowen and developed an interpretation of some of the work. 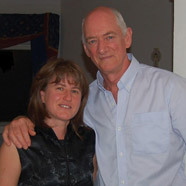 Lisa and Col’s lives were a constant ‘workshop’ of the technique and as patients with difficult problems presented themselves, their understanding of the principles enabled them to develop procedures to overcome those problems. Not content to merely accept conventional theories on Tom Bowen’s work, they also carried out extensive research on the man and how he operated. This led them to have contact via treatments and/or observations/interviews with five more of the small group who had extensive contact with Tom Bowen. They have also had ongoing contact with Bowen’s family. Lisa and Col believe this very productive research has served to confirm the concepts and principles on which ISBT-Bowen Therapy is based and the direction they had headed with it. The value of this work is now being recognised throughout Australia, New Zealand, Europe, Asia and South America. ISBT’s Teacher Training is unique and produces quality teachers dedicated to maintaining strict high standards. That may sound like simple marketing waffle but read on and you’ll see why it’s true. Given that ISBT has been in existence for over a decade, with courses in Australia, Europe, Asia and South America, it might be imagined that we have teachers splashed about everywhere. This is definitely not the case. For instance, we have had courses in Germany for about a decade but have only six (very busy) teachers there.